I just cannot imagine the thoughts and emotions that would go through me if my little man ever went missing. Unfortunately this happens to many, many people every year. 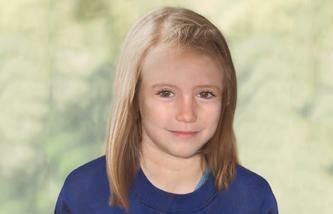 Today, the 12th May 2013, is Madeleine McCann’s 10th birthday. I’m sure everyone will remember hearing about the day she went missing, on 3rd May 2007, whilst on holiday in Praia da Luz, Portugal. It has been over 6 years now since she went missing, and I’m sure they have felt like much longer for her parents, friends & family. We know that some children are found in less than this time, some longer than this, but we always hold out hope that they will eventually be found. If you were on holiday in the same place at the time of her disappearance, or know anything at all about it or have had any sightings, then please contact your local police force AND +44 207 321 9251 immediately, or Crimestoppers in confidence at 0800 555111, or www.crimestoppers-uk.org. All of this and more can be found on the official Find Madeleine website at www.findmadeleine.com.